With the litany of controllers and orchestrators being created across the SDN and NFV landscape, we are re-creating the very problem for which we were trying to solve. In order to fully orchestrate services from end-to-end, across both the physical and virtual domains, network operators will now have to select vendors for each and then engage in a complex process of stitching this all together in order to create services. A solution lies in the concept of Multi-Domain Service Orchestration, says Joe Cumello, VP of Marketing at Ciena within our new Blue Planet Division. 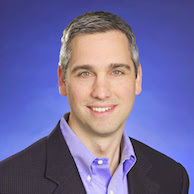 Joe Cumello (@JCumello) is VP of Marketing at Ciena within our new Blue Planet Division. Joe is responsible for marketing Ciena’s SDN, NFV, and network transformation software technology, and joins Ciena from Cyan where he oversaw all aspects of Cyan's global marketing efforts, from product marketing to global brand development. On Monday, Ciena completed the acquisition of Cyan and formally created the Blue Planet Division, which rolls up all of the software development of both companies into one division. The timing couldn’t have been better. Our new Blue Planet division aims to focus our combined software development horsepower on developing a new category of networking software. You’re probably saying to yourself, “if I had a dime for every vendors who said…” and we hear you. So let’s get more specific. The first is the management of networking hardware and the evolution of the NMS. We most often look to the “WAN SDN Controller” as the software that will finally help us move away from single-vendor operations and swivel chair management to a fully automated, managed, and controlled multi-layer and multi-vendor infrastructure. And so the vendor community is working hard to create SDN controllers, some based on ODL, others based on ONOS. All with their own FCAPS, topology, visualization, path compute, and more. Then we look to Network Functions Virtualization (NFV). And in the case of NFV, we’re trying to leverage low-cost data center space, power, and compute to operate network functions that used to be hardware devices themselves. 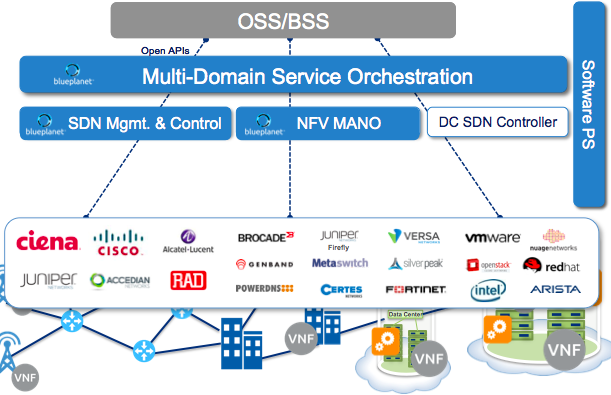 A NFV orchestrator, multi-vendor VNFs, and the associated infrastructure is all required to make this a reality. The vendor community has reacted by creating orchestrators galore – each vendor touting their own technology for managing the performance, visualization, orchestration, and service chaining of virtual functions. Finally, we have the data center SDN controller – the piece of software that started it all. Before there was NFV or WAN SDN, there was data center SDN. And today, we have a myriad of vendors who provide DC SDN controllers for managing networking resources within the walls of the data center itself. And lo’ and behold – we re-created the very problem for which we were trying to solve. In order to fully orchestrate services from end-to-end, across both the physical and virtual domains, network operators will now have to select vendors for each and then engage in a complex process of stitching this all together in order to create services. Or even scarier, engaging with large integrators who will deploy massive amounts of professional services to bind all of this together and integrate it into the BSS/OSS. There’s another way and it’s related to the concept of Multi-Domain Service Orchestration. MDSO is a critical component of Blue Planet today. Blue Planet’s MDSO sits on top of each domain and orchestrates services from end-to-end. It interfaces with NMSs and/or SDN controllers, the NFV orchestrator, and the DC SDN controller and understands available resources, both physical and virtual, that need to be managed. The end result is the successful orchestration of those resources and the delivery of services across a multi-vendor, multi-domain infrastructure. Through open interfaces and APIs, Blue Planet serves data up to the BSS/OSS. In addition, TOSCA-based templating technology allows the network operator to program the network themselves (vs. having to utilize large system integrators, their software professional services teams and their massive fees). So, what does the industry get as a result of the Ciena acquisition of Cyan? Well, how about the resources to fulfill our customers’ vision for what they need to orchestrate services from end-to-end – the holy grail for software-based network transformation. This is the unified vision for Blue Planet and, based on the direct feedback from many customers, it’s what they really need to change the way they compete.